FACEBOOK RULES: You cannot force the user to provide their complete set of data; the minimum set of information you will receive for each user is: name, surname, Facebook ID. The “Access internet” app is compliant with these rules, allowing the user to hide some of their personal information from the provider. This social login flow consists of asking WiFi users to “Like” a specific Fan Page on Facebook before connecting to the WiFi. UX: After clicking on “Log in with Facebook”, the user is asked for the basic permission and to “Like” a specific Fan/Business Page. If the user has already liked that page using the Tanaza splash page, they will automatically be connected to the internet. Consider that for this to occur, the customer has to have liked the page before THROUGH that same splash page in order to be granted automatic access. 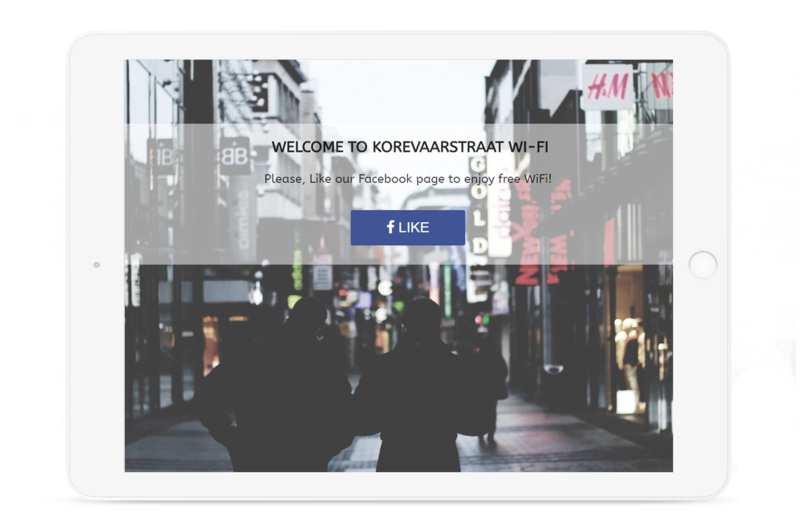 If the customer has liked the page through other means, when they try to log in, they will still see the splash page with the Like button grayed out and the option to select the “Skip” option to get access to the Internet. However, if they don’t want to “Like” the recommended page, they can opt to skip the page and connect to the internet anyway. Depending on the setting, the admin can also decide how frequently a user will be asked to “Like” a page, whether it is everytime they connect or only for a defined period of time. PROS: This social login flow doesn’t use USER_LIKE permission on Facebook, so it isn’t subordinate to a Facebook review. With this flow, users can easily log in and are more than likely to “Like” the recommended page. CONS: If a user already liked the page, but not through Tanaza, they will see the “Like” request but will have the option to skip this request and connect, without any problem. FACEBOOK RULES: After November 5th, 2014, every kind of Like-Gate or Fan-Gate is forbidden. If you want to know more about this, please read our blog post about like-gating and fan-gating. Because of this change, you are no longer able to tell if a user liked or not a page. 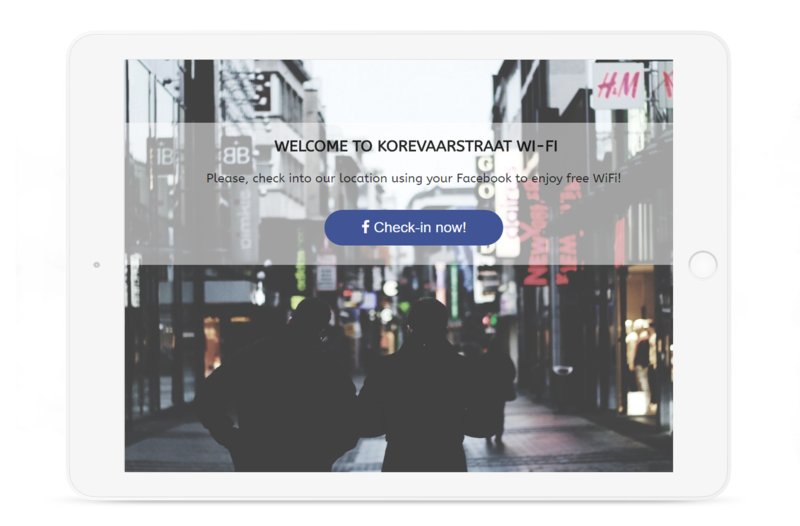 This social login flow consists of asking to WiFi users to “CHECK-IN” to a Facebook Place to connect to the Wi-Fi network. 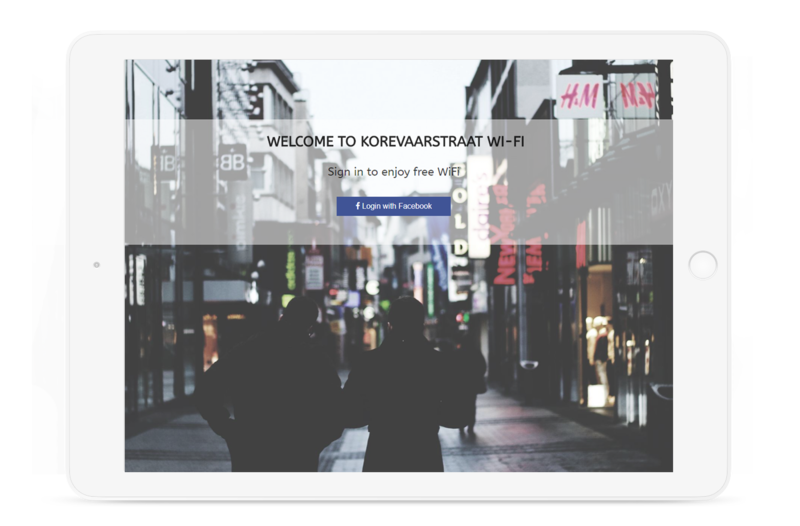 UX: If you want your users to be happy and to easily access your WiFi, you should enable a simple and short login flow. Tanaza allows you to do it with the Facebook check-in login flow. PROS: Super-easy user experience. Promotes brand exposure, without any advertising costs. CONS: This is ok for local businesses, where you can check-in in a physical place. To enable this flow, your business should either be listed as a Facebook Place, or you should have a Facebook Fan Page with location details. FACEBOOK RULES: Facebook accepts the check-in login flow and the “Access Internet” app is fully compliant with Facebook rules. Facebook forbids to write posts on the behalf of the user (you can only publish them if you received a specific permission to do it) and the “Access Internet” app is compliant to this rule as well. 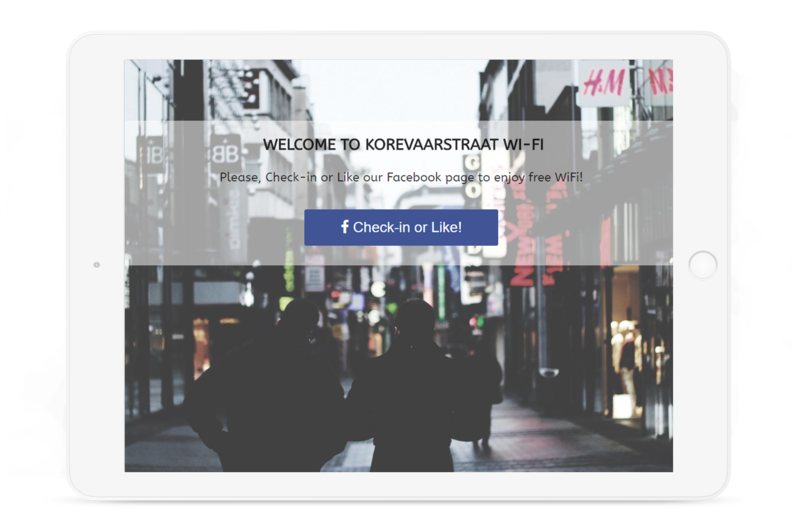 This fourth and final social login flow consists of a combination of two social actions before connecting to the WiFi network; the “CHECK-IN” to a Facebook Place or asking for a “Like of a Facebook page. UX: The user is asked for a “Like”, then connects to the internet. When connecting the second time to the network, depending on the settings, he’s asked again for the “Like” (if not done) or he’s asked for a check-in in a specific place. PROS: Brand exposure and promotion, without any advertising costs. Boosts the number of “Likes” and check-ins as well. Super-easy user experience. CONS: The user experience depends on the settings. To provide a wonderful experience to the user, the provider should not push too much to obtain the “Like”. FACEBOOK RULES: Not using the USER_LIKE permission, and being accepted by facebook the check-in login flow, this option is compliant to Facebook rules and doesn’t require submission for review. I chose the fb like, one of my customer owns a bar and so I set the fb like and it s working well.